Vibrating screen is widely used in stone, metallurgy, refractory production and coal. The screening effect of vibrating screen is related to many factors, including the properties and structural parameters of materials, the motion parameters of vibrating screen surface and so on. The increase of the amplitude and the blockage of the screen will greatly reduce the material and facilitate the stratification. But the magnitude is too great and the destructiveness of the device is greater. The choice is based on the amplitude and nature of the amplitude of the selected material. In general, for large sizes, choose different amplitude screens for classification. When dealing with the size of the material particles, the amplitude should also be increased. When the bulk material is processed, the particle size is small and the amplitude is small. Typically, the amplitude screen is 3.5-6 mm. When the vibration frequency is increased, the probability of screening materials, quantity, and beat material screening can be increased to speed up, and material screening and screening efficiency are improved, but it will help to reduce the service life of the equipment. The angle between the surface of the vibrating screen and the ground is called the vibration direction angle. The direction angle vibration value, the distance of each motion throw is too short, and the screen can move forward slowly and the surface of the material can be fully screened to achieve higher efficiency. The smaller the value of the vibration direction angle, the faster and higher the processing capacity of each casting, screening and material, but there is not enough material screening. Therefore, we should reasonably select the vibration direction angle, which should be used for data and vibration direction angles. It should be of great value. The material and vibration direction angle should adopt small value. 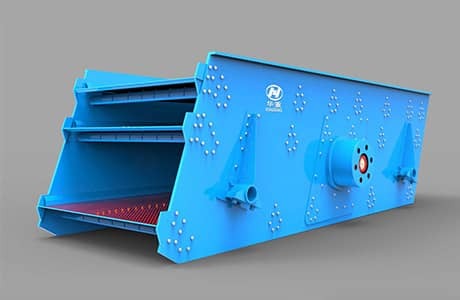 Generally, the vibrating screen direction angle is 90°, and the vibrating screen direction angle range is At 30°, 60°, and 45°, it is often used, which not only has good adaptability to various screening performances, but also achieves the best moving speed and high productivity. The angle of inclination of the screen surface in the horizontal plane is called the screen surface. The size of the screen surface is closely related to the ability and efficiency of the screening equipment. When the angle is increased, the screen will increase the material strength and the moving speed of the material casting and screen surface to improve the productivity, but the vibrating screen material reduces the particles. The shortening of time reduces the screening efficiency. Conversely, increasing productivity reduces screening efficiency. In order to make the vibration screening efficiency the most ideal, the angle should be controlled within the range of 5° - 25°, and the screen surface between the screens is generally inclined between 0° and 8 degrees. The size of the vibrating screen throwing angle also has a direct influence on the screening of the screen material. The ejection strength of the material plays an important role in the effect of the vibration screening of the material on the sieve surface. Generally speaking, as the material's projectile strength increases, the inertial force to which the particles are subjected is greater, and the material is thrown higher. In this way, it is beneficial to the screening of the material, but it is also restricted by the structural strength of the screen box; if the projectile strength is too large, it will inevitably affect the premature damage of the screen box and shorten the service life.